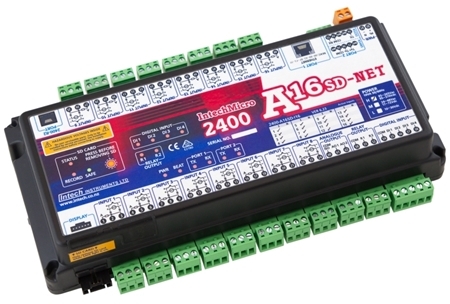 The 2400-A16-SD-NET is a great way to achieve a stand-alone method for data logging. 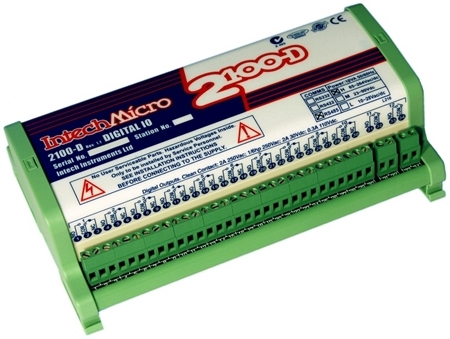 The station can be used as a 16 input stand-alone logger, or as part of a SCADA data highway with backup logging facility. 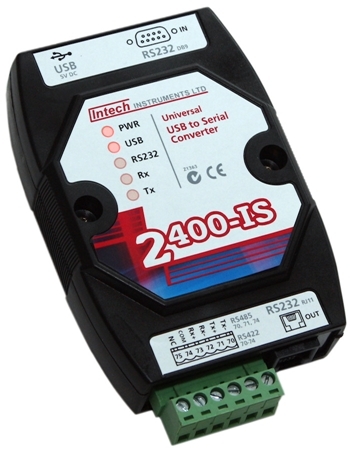 The 2400-R2 16 Channel Relay Output Expansion Module used in conjunction with the 2400-A16 / 2400-M-R.
MA5 supports two way text messages using SMS text messages. 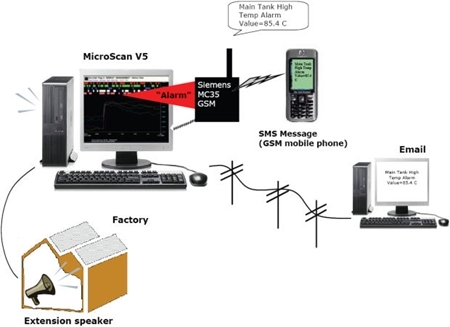 This allows GSM mobile phones to receive messages from the factory MicroScan V5 monitoring systems, and also allows the mobile phone to send messages to the MicroScan V5 to acknowledge alarms, request the latest process state or variable of any parameter and so on. 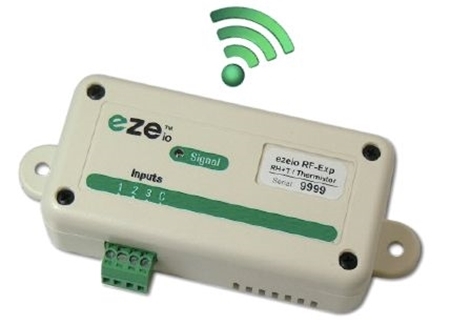 Vonets Wi-Fi Ethernet bridge for connecting Ethernet Instruments via Wi-Fi. 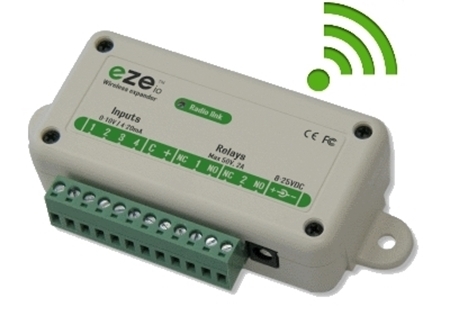 Ideal for use with Eze System controllers. 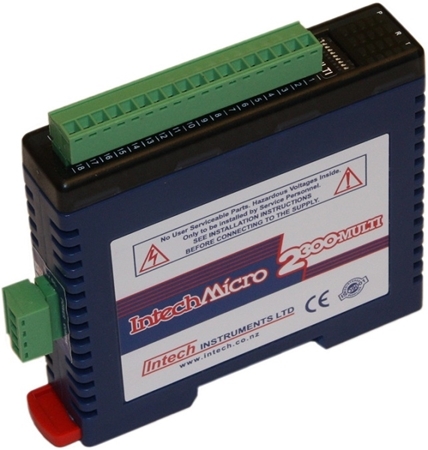 This station has 16 Universal Analogue Inputs which are software programmable using the user friendly MicroScan software. 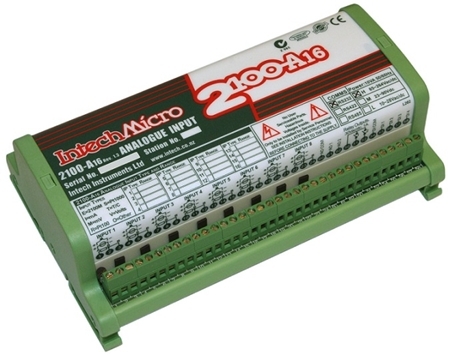 Each input can be configured for any of the following inputs: Thermocouple, RTD Pt100, Pt1000, mA, MV & V. The wide choice of spans ensures high accuracy. 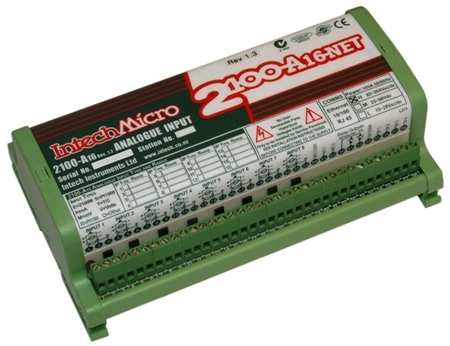 The 2100-A16-NET offers the convenience of using Ethernet for communication instead of the typical RS485/422 network system used with the 2100-A16. 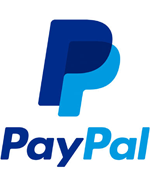 This station has 16 Universal Analogue Inputs which are software programmable using the user friendly MicroScan software. 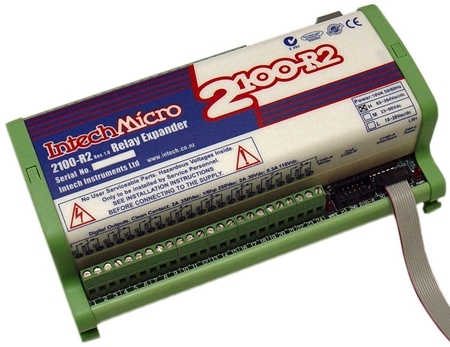 Each input can be configured for any of the following inputs: Thermocouple, RTD Pt100, Pt1000, mA, MV & V.
The 2100-D offers a high degree of flexibility for both the fully isolated Digital Inputs and Relay Outputs, which are configurable by the user friendly MicroScan Software. Configuration of Digital Inputs include: On/Off state, Flow metering. 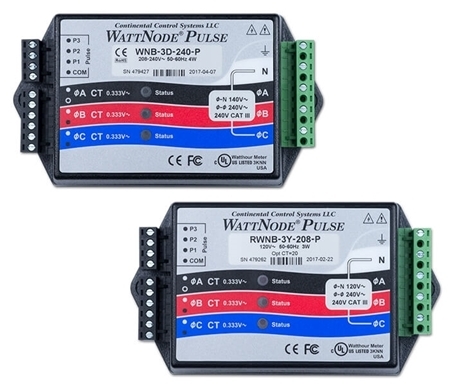 Pulses from flow or power meters and Counter function. 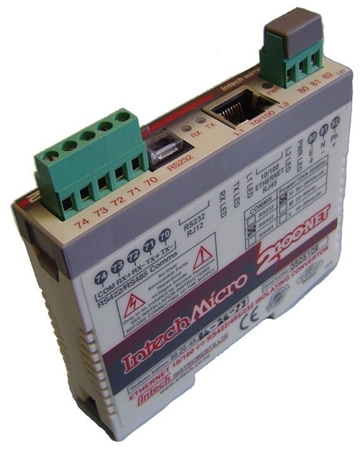 The 2100-R2 16 Channel Relay Output Expansion Module is used in conjunction with the Intech Micro 2100-A16. 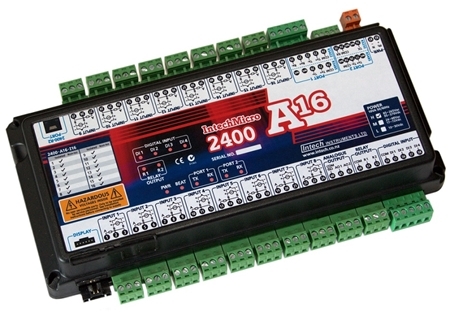 This allows the 2100-A16 to stand alone as a 16 channel controller / alarm unit. 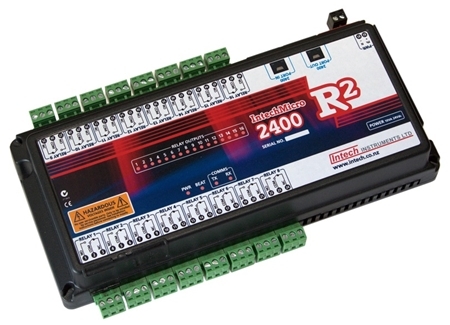 The 2100-R2 relay outputs can be used for any combination of control and alarm functions. 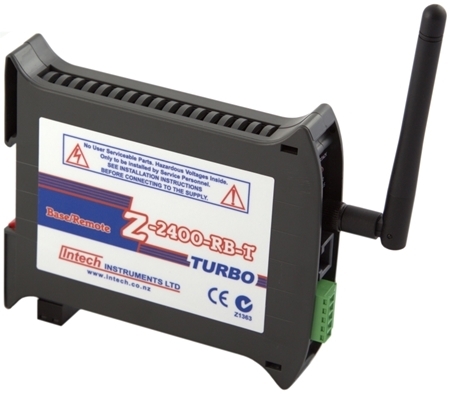 The 2100-NET brings the convenience of the Ethernet to the MicroScan system, allowing single or groups of remote stations to connect to the plants common Ethernet network. 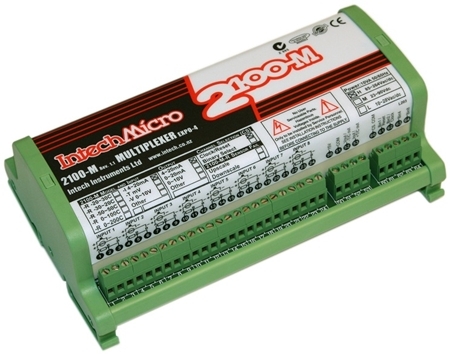 Multi MicroScan PC's can request data directly from the same stations.